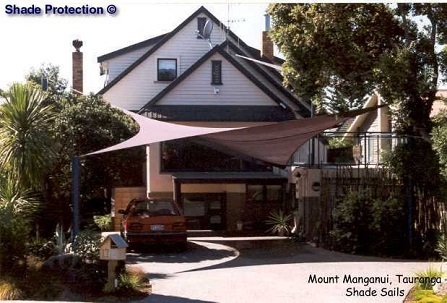 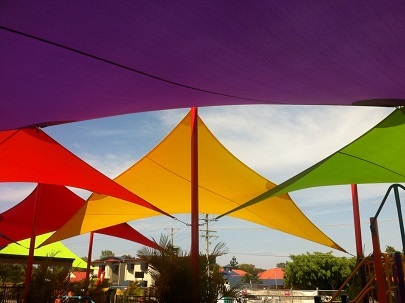 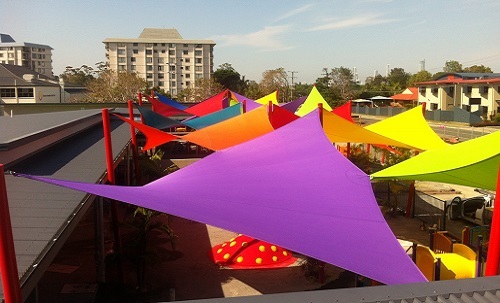 Shade sails are a simple, unique, and effective way to enhance and promote outdoor areas. 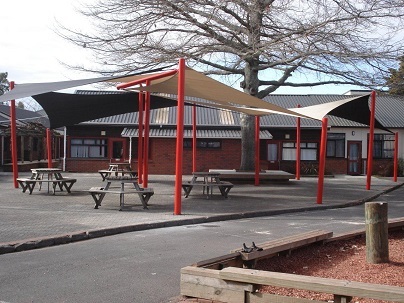 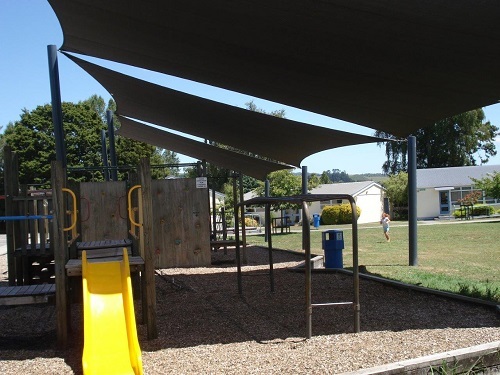 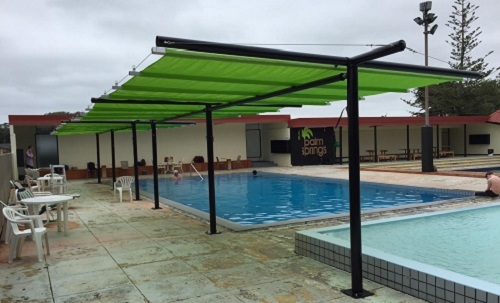 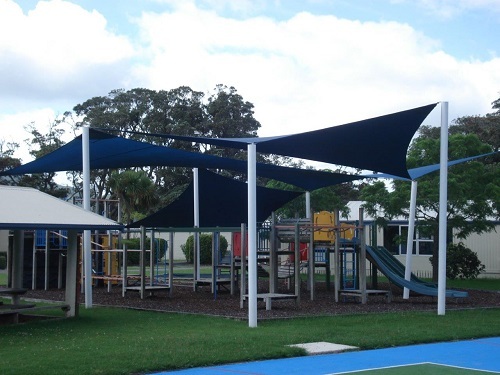 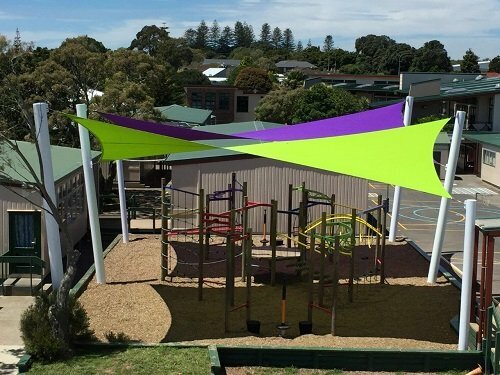 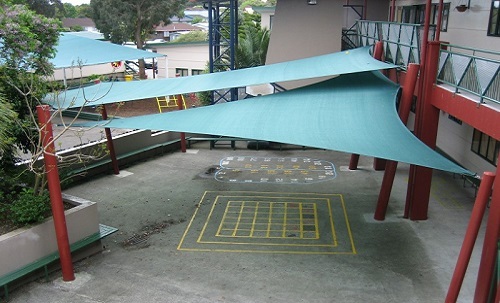 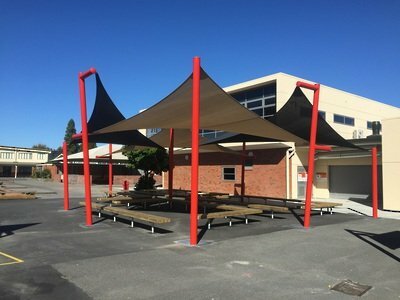 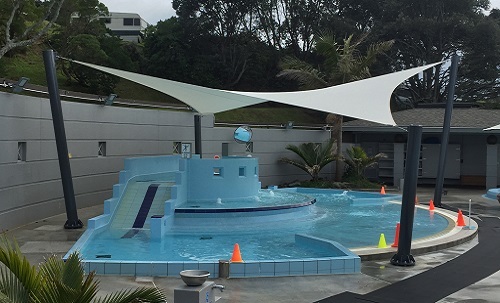 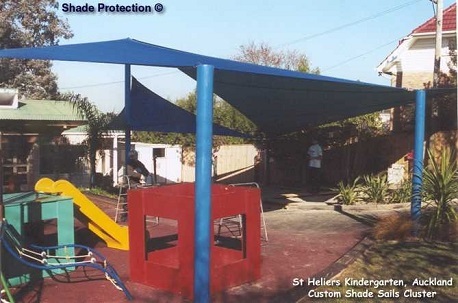 They are artistic designs that provide sun shade and UV protection for playgrounds, swimming pools, backyard patios, car parks, walkways, restaurants and other outdoor spaces. 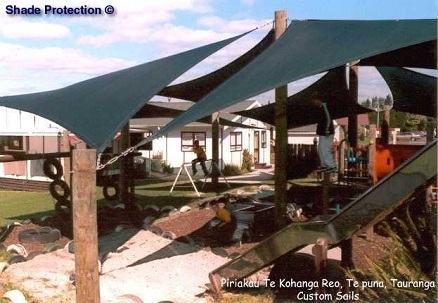 Sail sizes range from 3m x 3m to 12m x 12m on four posts, larger sizes can be made if req’d. 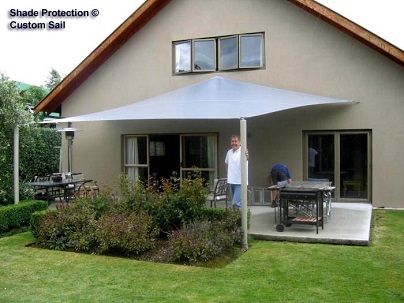 Linking a series of sails together is another great method to cover large areas POA. 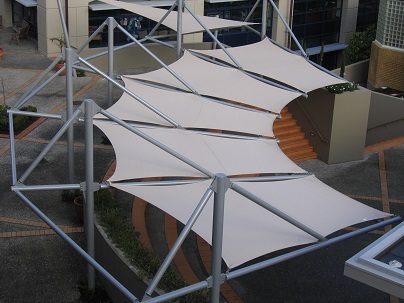 They are readily suited to cover irregular areas as the support posts can be installed where required, as opposed to a sq or rect shape. 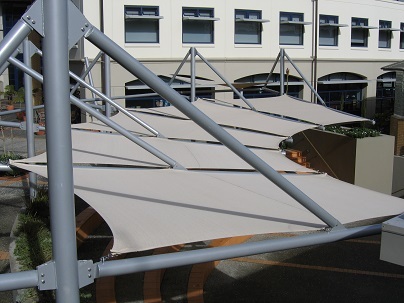 The shade provided can lower ambient air temperature beneath the sail upwards of 15 degrees centigrade. 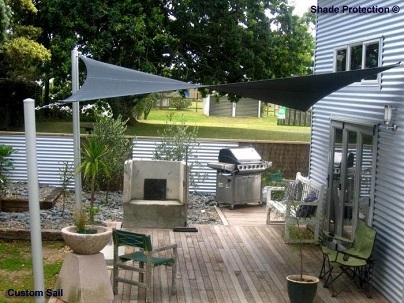 Also, because the shade fabric is breathable, it will not trap the heat beneath giving you a very useful additional extension to your outdoor space. 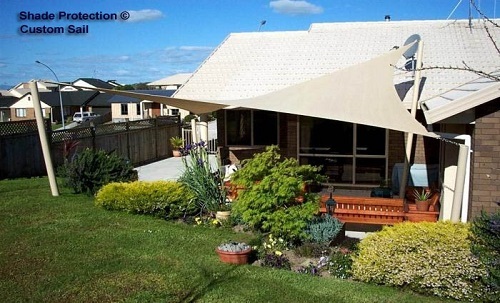 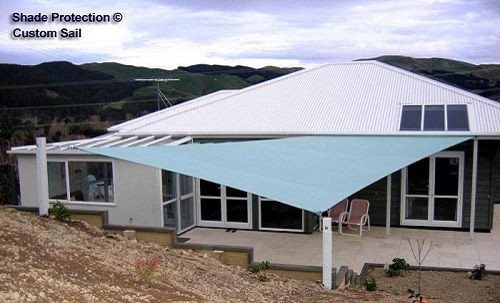 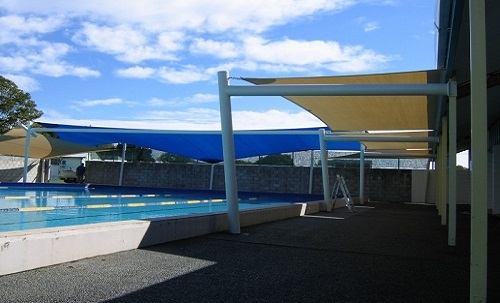 Our shade sails can also be made of a waterproof PVC for additional protection from the rain. 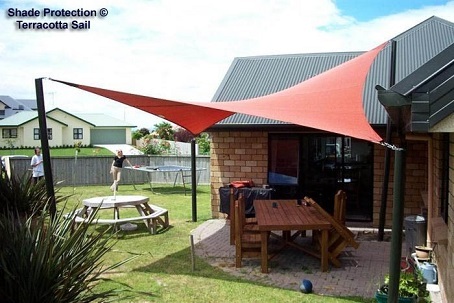 All of our sail fabric meets or exceeds the NZ Skin Cancer Society’s recommended target of 94% UV block out. 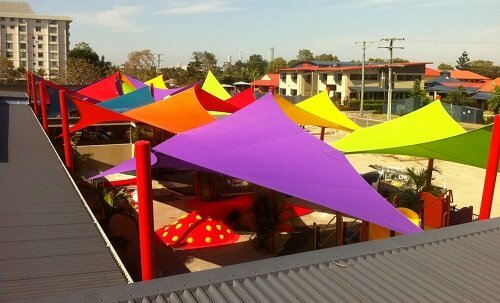 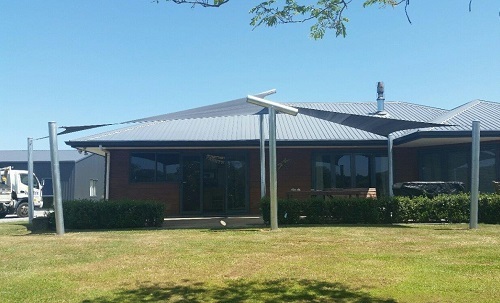 The design options are practically limitless for both business and residential customers, we design your sun sail to enhance the area beyond your expectations, with options for fabric and colour to meet your needs. 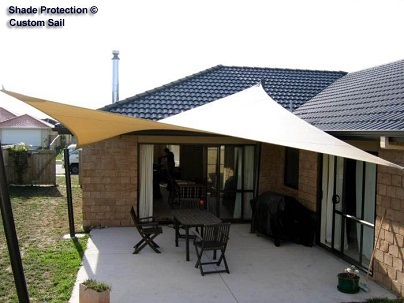 The aesthetic effect of high and low points on the sail give it a sculptured effect with the fabric. 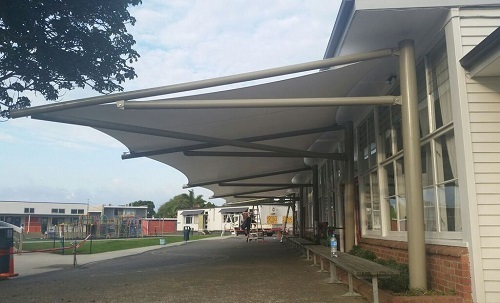 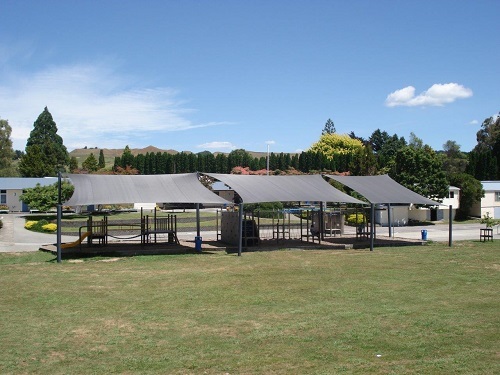 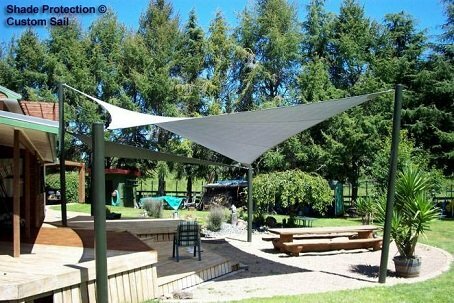 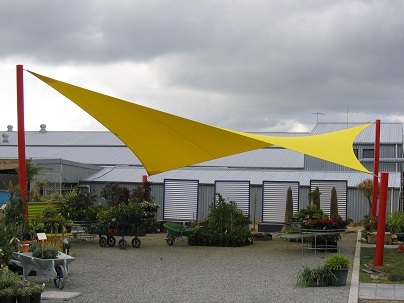 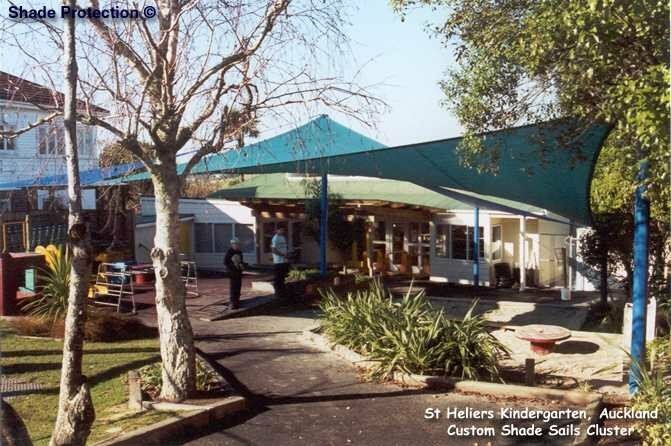 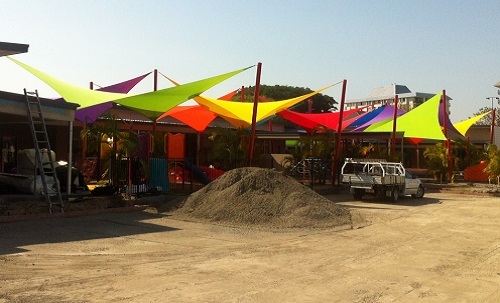 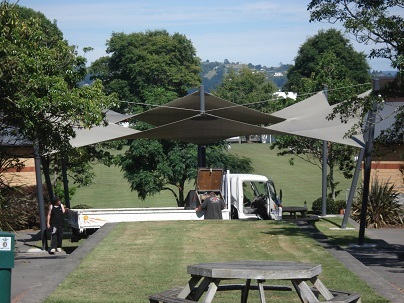 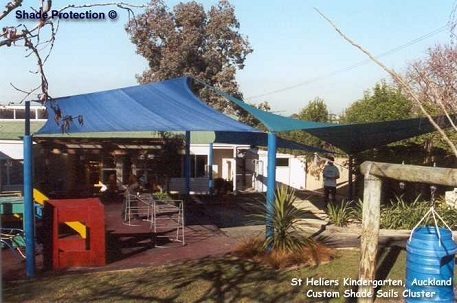 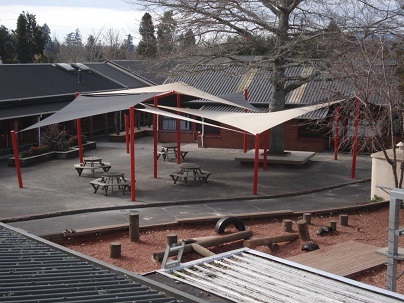 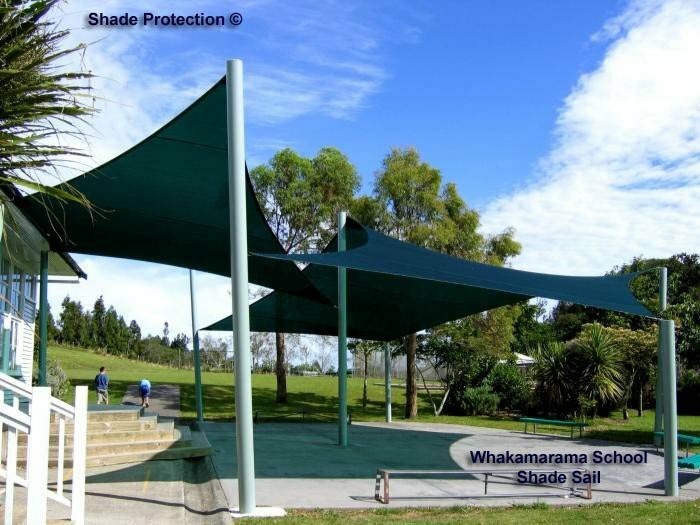 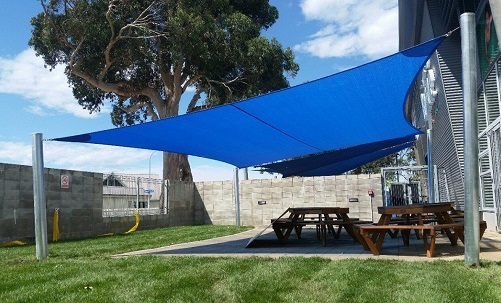 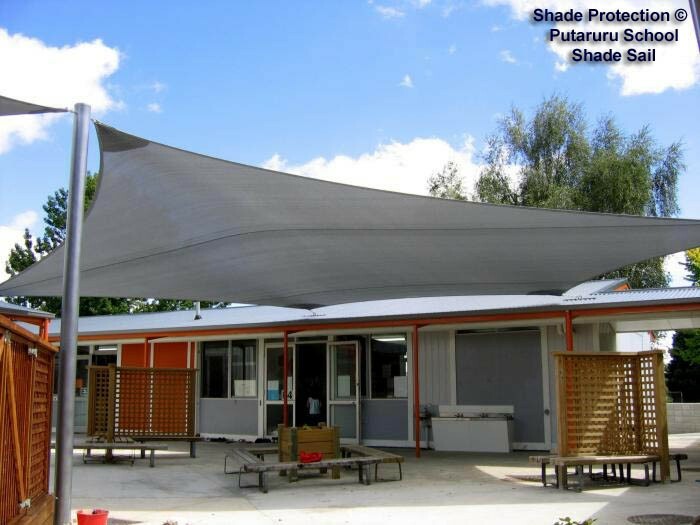 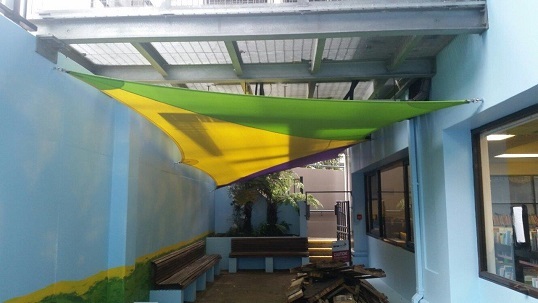 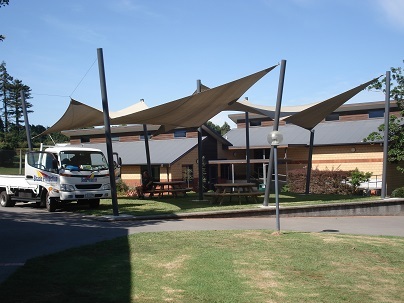 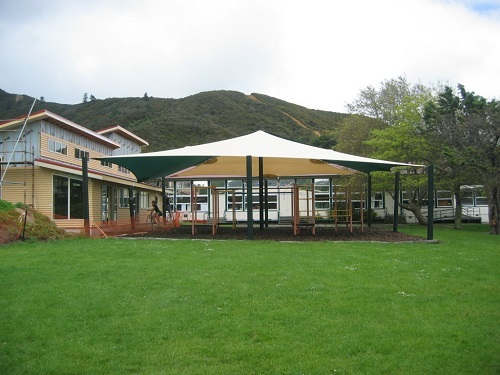 (For shade sails over 50 sqm, ie 7m x 7m or equivalent size, please note planning permission will be required). 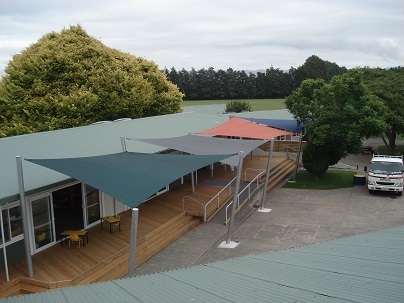 The posts can be powder coated or painted as required. 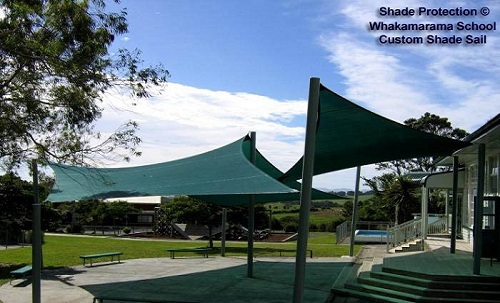 All fittings including the tensioning wire are in stainless steel.